Why Invest in Hawaii Real Estate? Hawaii is among the best real estate markets when it comes to stability of both demand and appreciation. Although housing units aren’t so easy to come by, there is an increasing number of condos that are just as popular as single-family homes. Also known as Paradise, Hawaii is an archipelago loved for its lush greenery and sandy beaches. With millions of tourists visiting each year, it offers great opportunities for achieving high rental incomes. With tourism doing a great job of supporting the economy, the Aloha State boasts the 8th highest personal income in the whole of US. In relation to real estate investing in Hawaii, this means a steady flux of renters who can all afford to pay their rent. All in all, Hawaii isn’t just a beloved tourist destination, but a desirable real estate market for investors as well. Population growth – Although Hawaii is an aging nation, much like the rest of the Western world, the latest projections paint a bright picture of the future. By the year 2025, the population of Kauai County will increase by 19%, while the growth in Maui County will reach a staggering 25%. As a result, the Aloha state will experience a significant increase in need for housing units. Investing in Hawaiian real estate now could mean a stable, if not high rental income in the future. High demand – The supply of housing units in Hawaii is limited. Moreover, almost all the land is already occupied, while the demand is an ever increasing one. In Oahu, for instance, both condos and single-family homes are being sold in a matter of days – averaging at 18 and 16 days on the market. This means a very fast turnover for those looking to sell their properties for a profit. Of course, for a real estate investor, this could prove to be a market that is simply too competitive. Stability of rental income – Real estate in Hawaii is costly, to say the least. In Oahu, the median price of an average family home is $755,000, which is three times higher than in the rest of the US. On the other hand, the value of such properties has been steadily increasing by 4.8% on average since 1985. Appreciation is around 5% and it is projected that it won’t decline any time soon. For a real estate investor, this means a rental income more stable than in most other states. Popularity as a vacationing and living destination – During 2017 alone, Hawaii received over 9 million visitors, which is a huge number when you consider its size. Since the Aloha State is known for being on the expensive side, most of the tourists that arrive are those looking for high-end accommodation and services. However, there is a significant number of people whose wish is to move to Hawaii permanently. Of course, this all translates into more numerous opportunities to profit from real estate investment. What are the Best Markets to Invest in Hawaii? With ever-increasing prices and a dissipating number of available housing units, Hawaii is known for being a highly competitive market. However, it seems that there are still enough condos to go around, at least for Honolulu to be able to break all sale records from 2006 onward. Oahu is a great market for looking into that type of units since it is experiencing an increase in inventory. There are plenty of other investment opportunities as well – after all, Hawaii is a highly desirable vacationing and living destination. 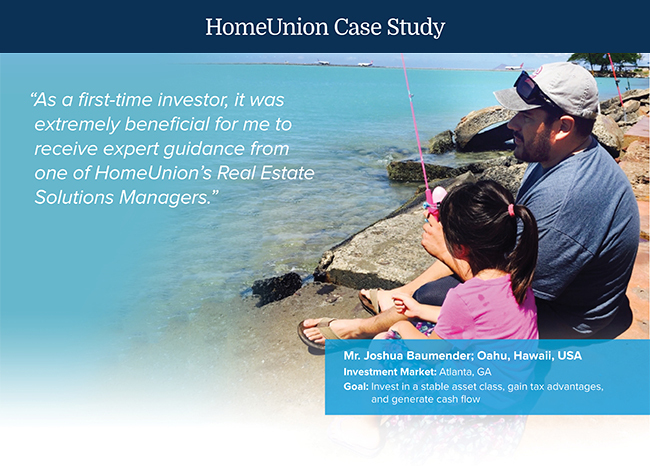 HomeUnion® is the leader in residential real estate investment. With the use of big data and machine learning, we analyze information on millions of single family homes in and across the United States and calculate home values RENTestimate for every property in Hawaii. If you’re looking for the best investment properties across the country, visit our comprehensive investment site.